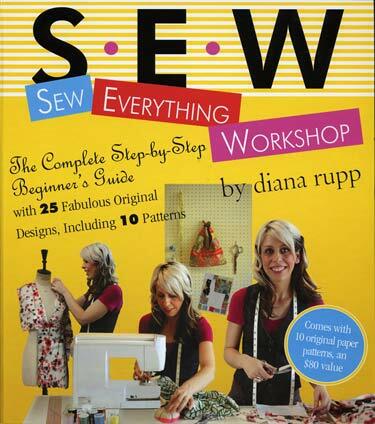 Sew perfect with a beginners sewing book! Learning the basics of sewing can be an invaluable tool. Sewing your own clothes, baby blankets, or pet sweaters can save you immeasurable amounts of money. You can alter your own clothes so they have that ‘sew perfect’ fit. Maybe re-purpose scraps of used materials and turn them into a beautiful keepsake. You’ll be able to create these and more once you find the best beginner sewing book that can teach you how to get started. Everything a beginner needs to start sewing fashion and home décor is detailed in this book with 352 pages, and it’s heavily illustrated with 1,100 color photos. It’s been revised and is nicely broken down into sections for easy reference. Start out learning about the necessary tools and how they’re used, how to choose the right fabric, and understand how conventional sewing machines work. Then put your learning to the test as you follow the simple instructions for making swimsuits, baby nappies, pillows, table linens, and window treatments. There are also sections explaining how to make custom alterations, zippers, and hems. 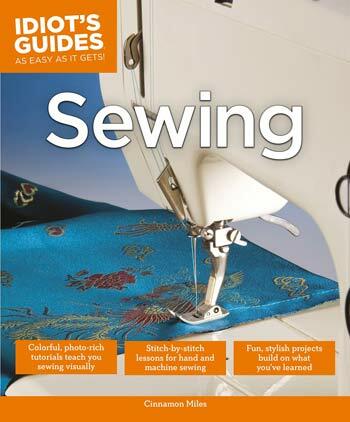 While it thoroughly explains the basics of sewing, it is still a valuable reference tool even after the beginner gains some significant skills. How do you wind a bobbin? 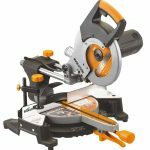 Which machine should you use? What is sewing a dart? How does one insert an invisible zipper? 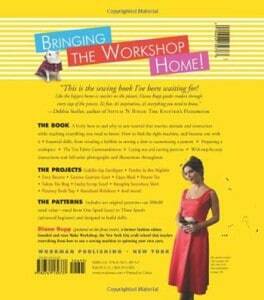 This book demystifies the art of sewing as it helps to lay a solid foundation for the beginner. You’ll learn the pre-sewing preparations needed to get your sewing projects moving seamlessly. Full-color photos support step-by-step instructions. 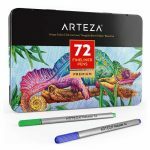 Included are 10 original patterns that range from super easy to a more advanced beginner level so you can learn techniques and then apply them. The clothing patterns are a little more contemporary than other books, and the text flows easily. It’s like having your own personal teacher guide you every step of the way. Five easy to learn projects will teach the beginner how to create an actual project during the learning process. 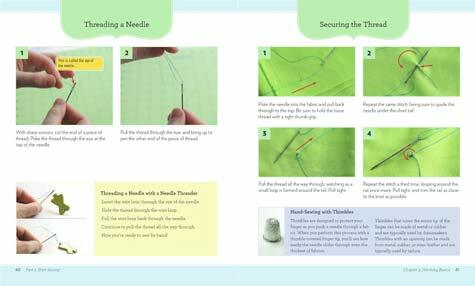 Sewing hems, balancing thread tension, how to use a pattern, and how to create a durable seam correlate to the step-by-step instructions nicely outlined in this book. Confusing sewing terminology is thoroughly explained so you can better understand the technique. Create a vintage apron for the cook in your family or a newborn’s blanket for a baby shower. 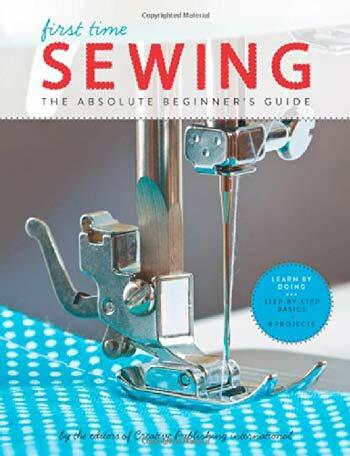 Users have called this one of the best sewing books for beginners available. The 128 pages in this book are filled with well-written instructions for the beginner to learn and then move on to practice different techniques. Since each technique has an accompanying photo, it’s even less confusing to master these skills. This could be the best beginner sewing book for those who have not yet learned how to turn on the sewing machine but still want the gratification of being a tailor. 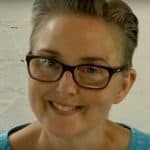 Clear and concise language, superb illustrations, and practical descriptive teaching techniques help the beginner learn a skill without being overwhelmed. 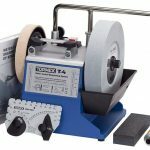 Turning on a machine, threading it, choosing fabrics, and creating seams and finishes are all explained in easily understood terminology with photos that correspond to each set of instructions. 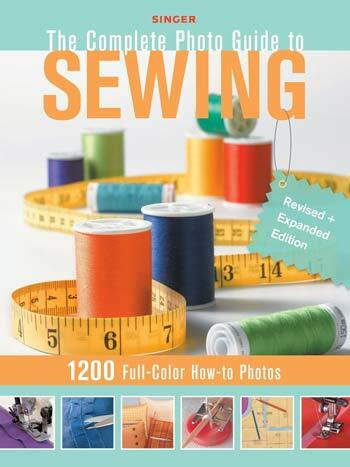 If you’ve never sewn before but want to try your hand at it, this book is an essential addition to your library. Hailed as the “one stop sewing Bible” for sewing students, everything from acquiring the right sewing tools to showcasing a pleated skirt is contained within the 400 pages of this book. Learn how to thread the machine, read patterns, cut fabric, add a zipper, spruce up the bedroom curtains, or make a pair of baby booties. There are 25 clothing and home décor patterns that use all the techniques shown in the book, so you can quickly see the outcome of your new skills. Are you a visual learner? No worries. The close-up photos are clear and defined as they work alongside the instructions. 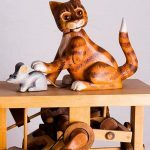 As your skills progress, the techniques and projects become more difficult. A footnote is included on the bottom of each page that references all the previously learned techniques to be incorporated in the new one. For more reference, use the glossary and index to quickly find what you’re searching for. 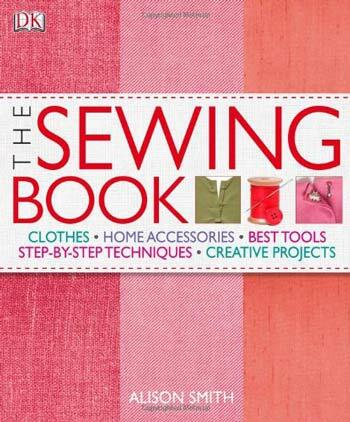 Which is the best beginners sewing book? Learning the skills of sewing has no disadvantages. 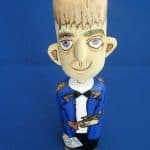 Saving money, creating something unique, and boosting your confidence as you master complicated techniques are just a few benefits you’ll reap. Use it to earn extra income, or enjoy it as a hobby. But who’s to say which is the best beginner sewing book? For the absolute beginner who just fell off the sewing bus, the Idiot’s Guides: Sewing book starts at the ultimate beginner’s level to introduce you to the world of sewing. But if you already know what a sewing machine is, perhaps the Sew Everything Workshop: The Complete Step-by-Step Beginner’s book is what you need. With its 25 designs and 10 patterns included, it could possibly be the best sewing book for beginners as well as advanced beginners. So choose a book that speaks to you, and get sew perfect!